Treat your doggy right with pet collars, dog leads and leashes, and dog harnesses from Doggy In Wonderland! Our Dog Collars and Leashes collection includes retractable leashes, pet dog collars and fashionable dog harnesses. Doggy In Wonderland offers a fabulous collection of Pet Collars for your dog. Whether you're looking for something cute and sweet or just a little bit funky, we have the perfect choice for your pooch! If your best friend is a bit of a fashionista then you'll truly appreciate our line of designer dog collars featuring designers like Cutie Collars, Diva Dog, Tartan Hound and GEORGE. Whether you're looking for a Buckle Dog Collar or a Martingale Dog Collar, we have a wide variety of pet collar styles to fit every pooch personality. Walking man's best friend has never been more fun than with one of our Dog Leashes. 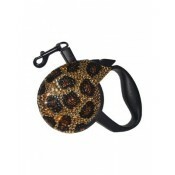 Our dog leads and leashes collection features practical dog leads and gorgeous fashion dog lead leashes! All of your pooch pals will be so jealous! Doggy in Wonderland knows what it is like to have an excited pup and sometimes, we need just a little more control than a dog lead offers. Our Dog Harnesses offer the control and functionality you want. But who says it has to be boring? 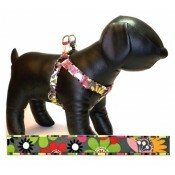 Try one of our stylish Dog Harness Dresses and Dog Harness Tanks for the special dog in your life. 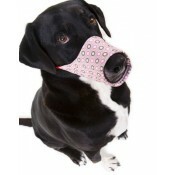 We also have a few Soft Dog Muzzles for those times you really need a dog muzzle due to barking or maybe even a biting issue. Your dogs will strut with style when you take them for their morning or evening walk or out and about around town with our chic collection of dog leash and collars from Doggy In Wonderland. 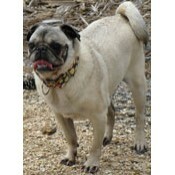 We are continuing to add more pet dog collars, dog leads and leashes and dog harnesses, so check back with us often!